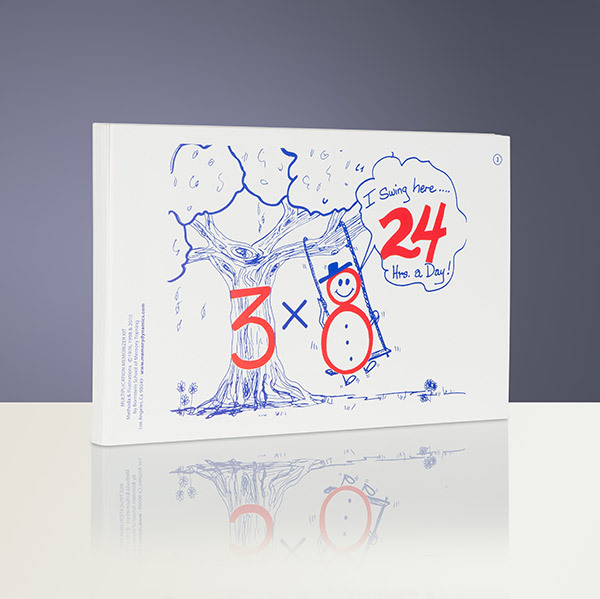 The student observes the illustration and then recalls images representing numbers, connecting the number combinations in his or her mind. When the student thinks of the numbers, the answer is automatically remembered by the visual and sound association. Also used to teach/learn division! Example: Three sounds like tree. Eight looks like a snowman. 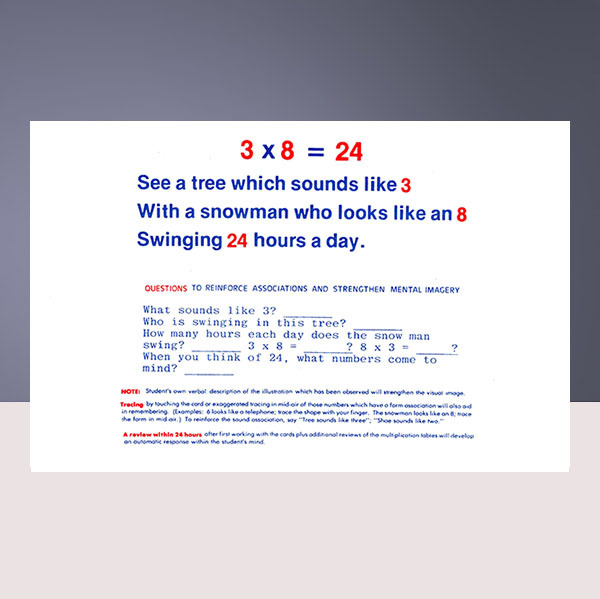 Now, picture the snowman swinging in the tree, saying “I swing here 24 hours a day!” 3 x 8 = 24, 8 x 3 = 24, 24 ÷ 3 = 8, 24 ÷ 8 = 3. 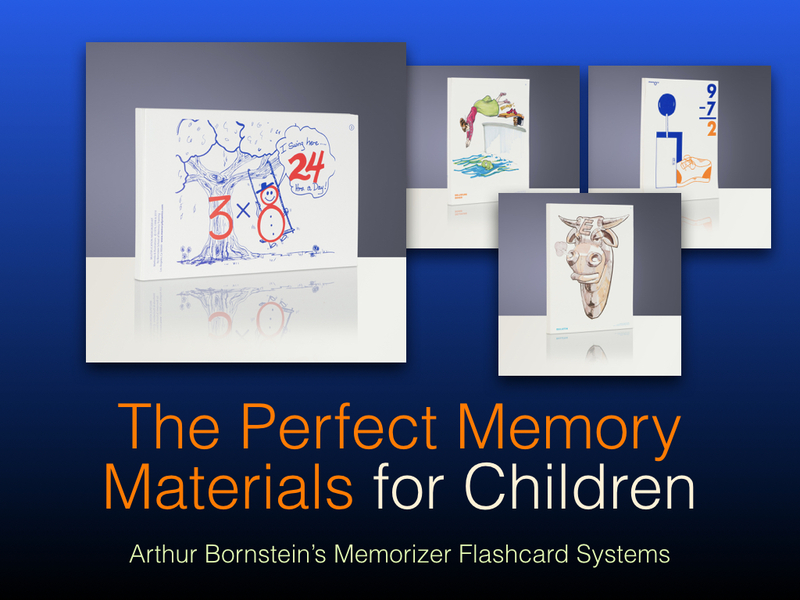 Multiplication Memorizer Kit includes 54 large 7 x 11 colorfully illustrated flashcards with the association on the back, study guide, and teacher/student instructional CD.